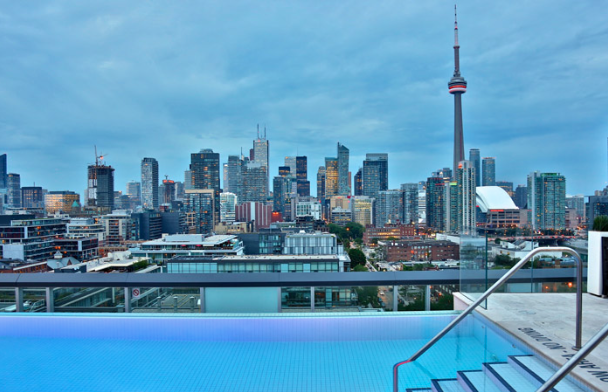 With breathtaking 360° views of the downtown Toronto skyline and Lake Ontario, Thompson Toronto has the city’s premier rooftop bar retreat for hotel guests and lounge members. 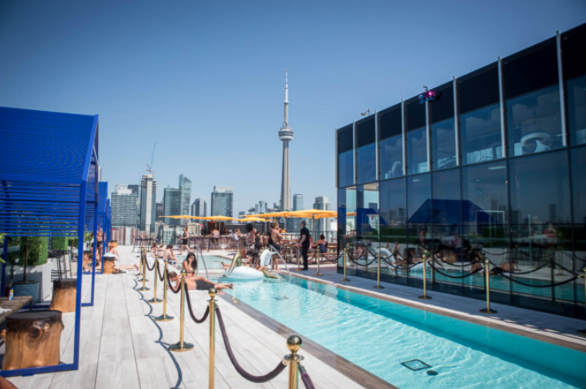 Guests can dip in the infinity pool by day and lounge in cabanas by night, enjoying creative cocktails far above the fray of downtown Toronto. This one of a kind landmark venue is 16 stories above the city. The luxurious space features a picture-perfect outdoor pool and cabanas, all with breathtakingly unobstructed, 360-degree views of the city skyline. 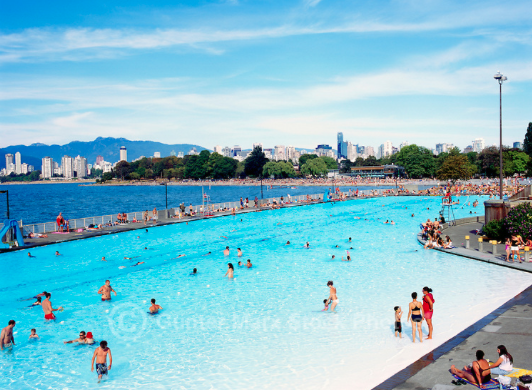 Kitsilano Pool is a heated salt water pool adjacent to Kitsilano Beach and it is a stunning place for some swimming and sunbathing this summer. It’s recognized by many not only as Vancouver best outdoor pool – but arguably as one of the best outdoor pools in the world. 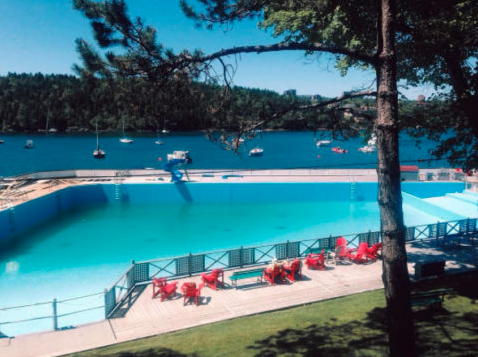 It’s Canada’s longest pool at 137 meters, is almost three times longer than an Olympic Pool and is filled with fresh, heated salt water. 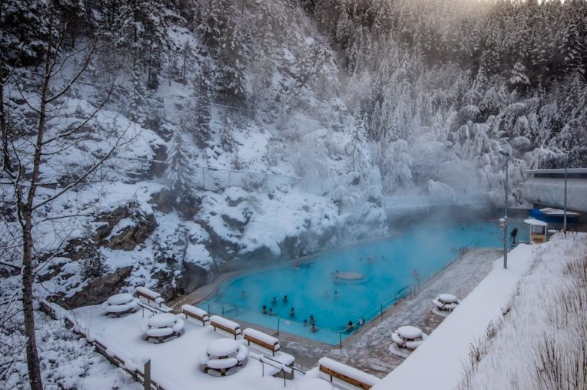 Crystal clear and all natural, the mineral hot springs in BC at Fairmont Hot Springs Resort are a legendary attraction and also Canada’s largest natural hot springs. Slip into the soothing hot water and feel your worries wash away as you gaze through the steam toward stunning views of the Rocky Mountains. 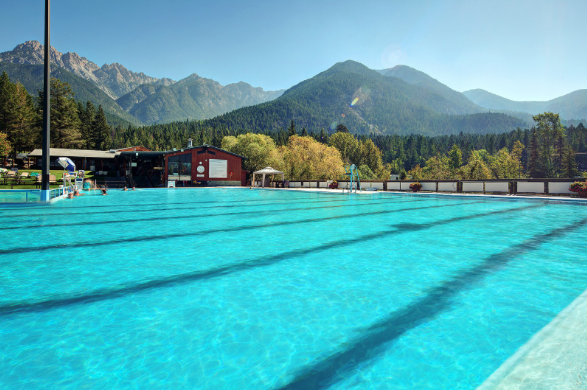 Radium Hot Springs pool, located in British Columbia’s Kootenay National Park, features Canada’s biggest hot springs pool and offers something for all the family to enjoy, including a cooler swimming pool. The mineral water of Radium Hot Springs is uniquely odourless and clear, making this hot springs perfect for a relaxing soak. 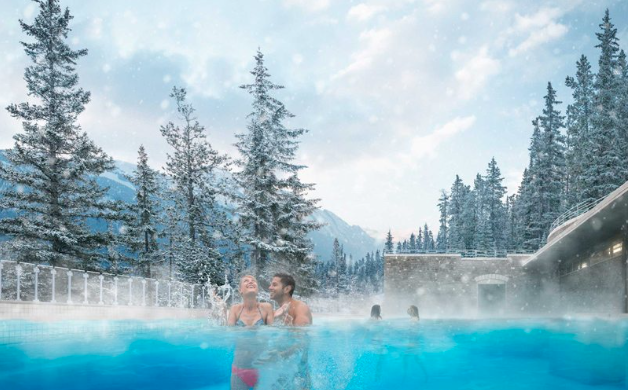 Located in the town of Banff, in Alberta’s Banff National Park, the Banff Upper Hot Springs has all the amenities of a modern facility in a splendid historic spa and bathhouse, against a backdrop of Banff National Park’s spectacular alpine scenery. You can relax in the comfort of soothing, natural hot springs where travellers have come to "take the waters" for more than a century. The Waegwoltic Club has four splendid outdoor saltwater swimming pools. Three of the pools are heated from May – October with a temperature range of 73-85 degrees Fahrenheit. The Waeg’s aquatic program is one of the largest in the Maritimes and includes programs and swimming lessons for all ages. With mineral pools, tranquil spas, hot springs and much more, the Willow Stream spa at the Fairmont Banff Springs is an oasis of rejuvenation. Drawing energy from the mountains, the quiet sanctuary helps balance the rhythms of your body to reawaken your senses. 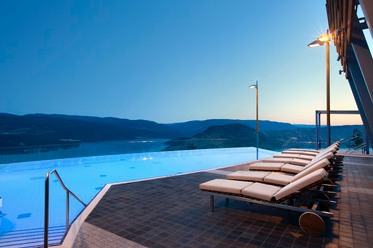 Enjoy spectacular views from KurSpa's outdoor infinity pool, with its panoramic views of Lake Okanagan and surrounding vistas all year round. If you aren’t up to being outside, they also have a spectacular indoor pool, as well as many other luxurious amenities. We hope you love these pools as much as we do. What are some of your favorite pools in Canada? Let us know! Disclaimer: All photos were located online and the sources are unknown.